Barbizon Midwest Review: Pre-Teen Model & Actress Taylor Castro's Career Take-off! 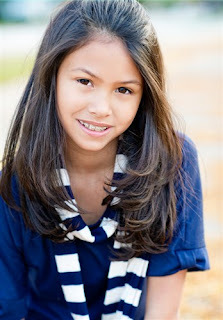 Pre-Teen Model & Actress Taylor Castro's Career Take-off! 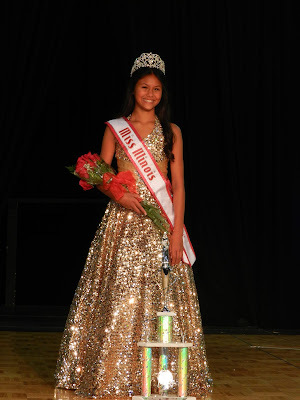 Last week, we blogged about "Taylor Castro's Crowning Moment" as 'National American Miss Illinois Pre-Teen 2013!' Taylor has been booking work with our agency, Royal Model Management, since her graduation from Barbizon Midwest Schaumburg location in 2007! We are so proud of Taylor and delighted she took the time to speak with us about her Barbizon/Royal experience. What did you gain from your Barbizon Midwest experience? "I have gained life changing qualities like confidence through the Barbizon Midwest experience. During the pageant's interview component, I answer the questions proudly with confidence in my answers. I am also very comfortable with talking in front of large crowds or giving a presentation in front of my class." Can you tell us about some of the many jobs you have done for Royal Model Management? "I have done a Sears, Luna, and McDonald's commercial along with print work for Walgreens, Weber Grill, State Farm, Good Egg Project, Six Flags and other projects. The Six Flags shoot was so much fun! I loved going up and down the waterslides!" Check out Taylor Castro's National McDonald's commercial! "I participate in dance and gymnastics. I have been doing ballet, tap, and jazz since I was in preschool. I also have been doing gymnastics since 3rd grade. I have been on the Principal's List for all of sixth and seventh grade. To be on the Principal's List, you have to have a G.P.A. of 3.8 or higher." What advice would you offer to current Barbizon Midwest students and graduates? "Be yourself. If you pretend to be someone that you aren't, nobody will be able to see the real you!" Taylor's pageantry title, extracurricular activities, industry work, and academic achievements make her a true star in our eyes. She is a shining example of the type of role model we strive to help our students become. At such a young age, Taylor has already achieved so much and it is easy to see this bright, determined, and talented girl is going places. Taylor, we are so proud of you and thrilled to be a part of your journey. Congratulations on recently booking another huge print job for Walgreens and we will be cheering for you as you compete at Nationals in November!